From Prometheus Books. Publication date: March 6, 2012. During the first dozen years of the twenty-first century–from Y2K through 2012–apocalyptic anticipation in America has leapt from the margins of society and into the mainstream. Today, nearly 60 percent of Americans believe that the events foretold in the book of Revelation will come true. But it’s not just the Christian Right that is obsessed with the end of the world; secular readers hungry for catastrophe have propelled fiction and nonfiction books about peak oil, global warming, and the end of civilization into best-sellers, while Doomsday Preppers has become one of the most talked-about new reality TV shows on television. How did we come to live in a culture obsessed by the belief that the end is nearly here? 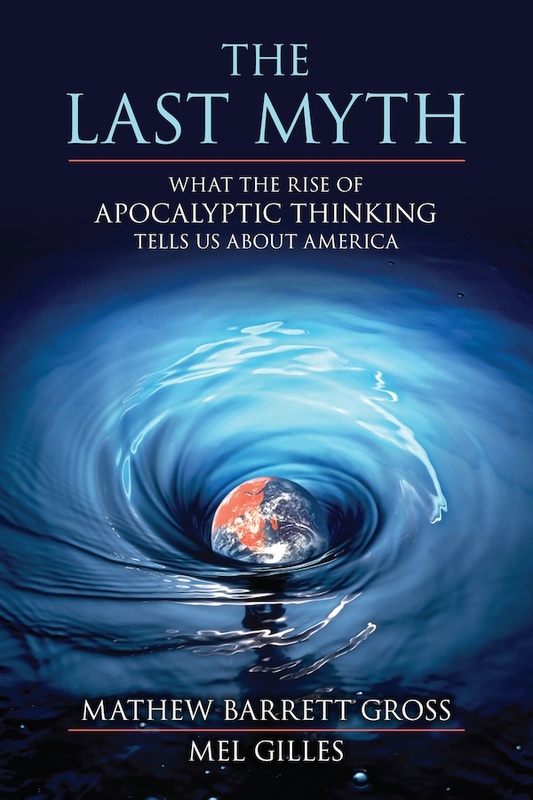 The Last Myth explains why apocalyptic beliefs are surging within the American mainstream today. Tracing the development of our expectation of the end of the world from the beginnings of history through the modern era, and examining the global challenges facing America today, authors Mathew Barrett Gross and Mel Gilles combine history, current events, and psychological and cultural analysis to reveal the profound influence of apocalyptic thinking on America’s past, present, and future. Engaging, powerful, and insightful, The Last Myth will change the way you look at the world–and its end.